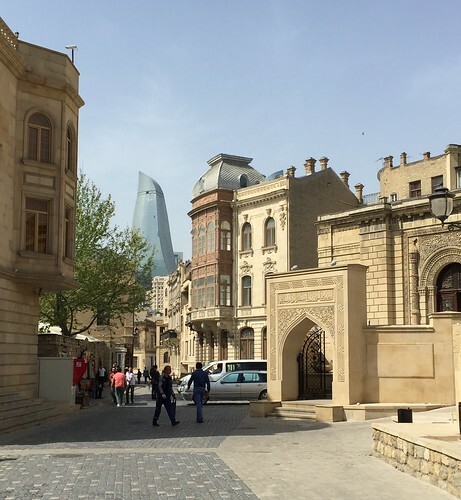 Part of Baku’s Old City, with a peak of one of the modern Flame Towers in the background. European Games? Yeah, I know. Even astute GSWPL readers actually located IN EUROPE were probably mostly unaware of this event. To be fair, it was the inaugural version of the Games. And the fact that it was held somewhere not strictly part of most people's definition of "Europe" didn't help. 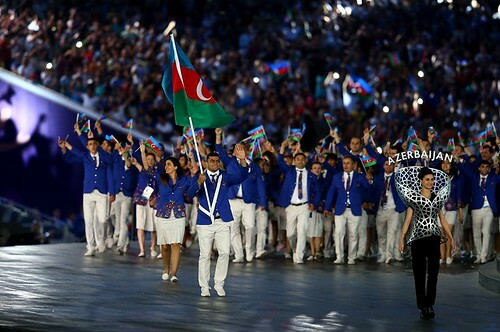 Nonetheless, there was a large multi-sport games held in Baku, Azerbaijan from June 12 to 28 this year. And I was there, along with several hundred others, working on the blockbuster Opening and Closing Ceremonies. Which went quite well. Thanks for asking. More on this in a later post, but for now I'll just confirm that the boat is still afloat, having had a bunch of work done on it while I was in Azerbaijan. (Including a new name and an absolutely transformative new paint job on the outside! 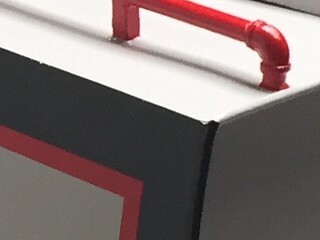 Stay tuned for pictures.) The boat is currently waiting for me at a marina in west London. So basically that's been my last eight months. Live in Baku. Work on the Ceremonies. Try to get stuff done on my boat while located at the other end of the continent. The European games were my second bash at the International Ceremonies Operative lifestyle, following a sojourn in Russia for the 2014 Winter Olympics. Some of you may recall that experience had more than its share of… err… unnecessary hurdles. Enough, in fact, that for a while I resisted the idea of taking on the Baku gig. Luckily, it turned out my hesitation was entirely unfounded; Baku was a whole different experience for many many reasons. First, the living situation was universes better. In Russia I lived for eight months in a succession of hotels ranging from the 5 star gilded cage in Moscow to what Gerald dubbed “The Little Orange Box” in Sochi. And while a 5 star hotel is fun and the notion of eating your bodyweight in smoked salmon at the OTT breakfast buffet every morning is initially alluring, nothing beats having a real, normal place to call home. Somewhere you can cook a proper meal, wash your underwear whenever you want, and feel like you’re living a normal life. My apartment in Baku was exactly that. 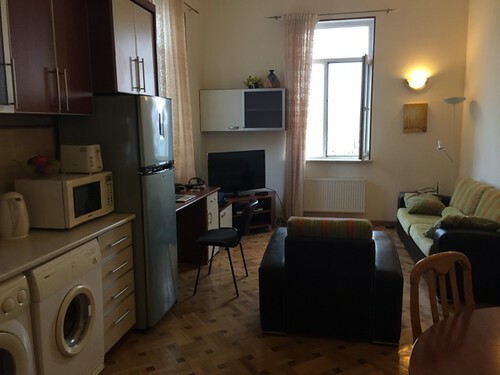 Located just a few blocks from the Metro, a short run from the Caspian Sea, and an even shorter walk to Fountain Square, it made life seem normal. There was simply no way to pretend that life was normal in Sochi when the routine was generally like this: Wake up in a somewhat dingy hotel room next door to all the people you work with, cobble together breakfast from eggs hard-boiled in a kettle and anything else that will keep in your mini-bar fridge, hand-wash your underwear in the bathroom sink, get on a big bus with all the people you work with to drive to the stadium, slog away for 14 hours, get on the same bus with all the same people you just slogged with for 14 hours, and then go for drinks with… yep, all the same people. In Baku I could wake up in my own apartment, go for a quick run along the sea, come back and make myself a proper breakfast, get on the metro and go to work, come home at night and toss a load of laundry in the machine, take something out of the freezer for supper, and generally feel like a sort of normal person. I could even go for a late night supper at a real restaurant and then walk home. Heaven. In case you forgot what my place looked like. I kind of miss it! Something else that was better for the Baku games? Food. You might recall that in Sochi there was a total ban on bringing your own food into the Olympic Park. And I mean TOTAL. Every morning security guards would scan your bags and pat you down looking for contraband Doritos and bananas and cough drops and whatever. Most people developed more or less sophisticated methods of smuggling food onto site. I used to roll things up in a fuzzy pair of socks in the bottom of my bag (Astute GSWPL readers may remember the Kraft Dinner Incident). Some people employed “decoy food” to sacrifice in order to preserve the real booty. One resourceful contractor even made a false lid inside his hard hat for contraband, and when the same guy pulled the same hat out of his tool box in Baku he found a stale and forgotten Snickers bar still preserved as insurance against hard times. It was that kind of gig. In Azerbaijan, there were no problems. We regularly brought food and drink on site, meaning that life was much, much, much simpler and more pleasant. 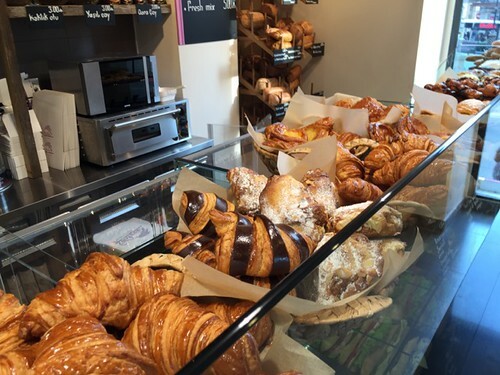 I could pick up some nice pastries at the bakery in my building and pair them with freshly ground coffee for a mid-morning pick-me up. Or you could bring in a load of sandwich fixings and leave them in the fridge to set yourself up long term. We even had regular birthday celebrations with massive fancy layer cakes. And Gerald managed to set up some kind of rivalry among the local staff that resulted in several batches of home made dolmas appearing sent by Azeri mothers anxious to extend their hospitality and proved that their dolmas were the apotheosis of the form. It was great. The life-blood of the Props Department Executive Branch. Served at increasingly short intervals, depending on the length of time to the next ceremony. 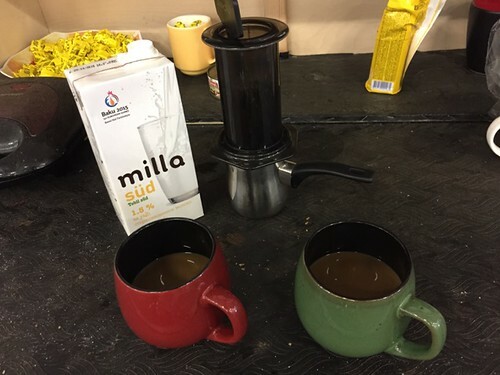 That Aeropress got used so much it actually developed extensive stress fractures in the outer sleeve. And there were times that we had up to 3 kilos of Lavazza coffee beans stockpiled. You know, just in case. You know what else was nice in Baku? There were no line-ups. In Sochi, before you even got to the point of having your bag ransacked for bootleg Pot Noodles, you had to endure up to 45 minutes waiting in a mob of people just to get into the security building. In Baku there were never more than about 4 people ahead of me in the line up at the security checkpoint. Usually there were none. And even if there had been a hundred people, they would have all stood in line because they had barriers up forcing you into a long single line. Orderly queues! More than one lane of security! And friendly, polite policemen manning it all! Are you listening Russia? And collecting accreditation badges in Sochi was a bit like the last helicopter out of Saigon - an unruly crush of people all wanting the same thing and desperate to take any measures to get it. In Baku the Accreditation Centre was, when I visited, a veritable ghost town filled with eager volunteers who processed my paperwork and printed my badge in less time than it took me to write this paragraph. I'm pretty sure there were tumbleweeds rolling through the volunteer uniform pickup area. In the admittedly niche category of Best Accreditation Pickup Experience, Baku was the hands down winner, and that includes London 2012. So all in all, we were pretty well set up in Baku. That’s not to say it was a walk in the park. Certainly the work was challenging and frustrating and at times even maddening and discouraging and heartbreaking. However, it was hard for the right reasons. Yes the stress was high, but at least it wasn’t exacerbated because you were subsisting on grey canteen food supplemented by illicit hard boiled eggs, battling 40 minute waits at security every morning and going home to an orange box every night. It was hard because the creative vision was big and complex and exacting and the schedule was tight and the resources were limited. In other words, it was hard because this kind of work is supposed to be hard. But that - the ceremonies themselves - is, I think, another story. For now I’ll enjoy the fact that it went well and it’s over and I’m back in the real world with my feet up.